Chuka Umunna will today launch a lengthy attack on one of the key economic reforms demanded by supporters of Jeremy Corbyn and criticise plans put forward by the “some [people] on the left”. In a blunt speech, the former shadow business secretary will condemns proposals for a universal basic income (UBI) and say the policy represents a “counsel of despair” which would mean society is “washing its hands of responsibility for the poor”. The UBI, which aims to provide a regular sum of money to all citizens, irrespective of their financial situation, has been championed by the Green Party, as well as John McDonnell, who last year said: “I think we’ve got a long way to go in developing the proposal and the argument but I think we can win the argument on it”. Umunna is not expected to name any individuals in his speech at the German British Forum today but his reference to the UBI other politicians on the “left” could be taken as a comment on the shadow chancellor. The Streatham MP will say that the UBI is the wrong response to the threat posed by technology and automation to traditional employment and the security of regular wages. “Some do not believe the new digital economy will produce enough new jobs to replace the old ones. The truth is we do not know what will happen – there is little conclusive evidence. But, already, there is talk about a post-work society and the call for a universal basic income, an idea embraced amongst others by Milton Friedman, Silicon Valley and some on the left. Some want to fund it by taxing robots, others by a tax on using customers data,” he is expected to say. “I believe universal basic income is a counsel of despair. A signal that we have given up on fixing the social contract that binds our society together. It would be the victory of selfish individualism. Society can wash its hands of responsibility for the poor. The jobless can be abandoned. Across the country, workless neighbourhoods would become impoverished reservations of the dispossessed, subservient to and totally dependent on the state, denied any proper agency of their own. Instead he will highlight public anger over the level of tax paid by US technology giants such as Facebook, Amazon and Google and call for better regulation. “We will not be able to achieve successful businesses in a failing society. There will be a few who believe otherwise but the headwinds will be against them. We do not want glittering technology in a shabby and run down country. The purpose of technology is to help us achieve human flourishing and the common good. There is such a thing as society so we must therefore protect the most vulnerable and ensure the benefits of these new technologies are apportioned in a socially just way,” he will say. 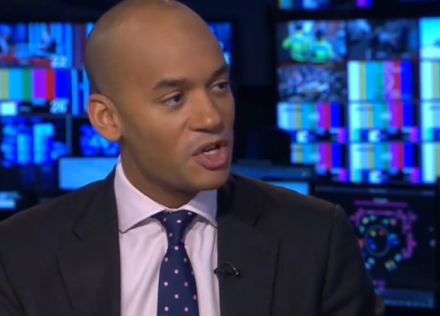 This article was edited on November 14 to reflect the amended words delivered in Chuka Umunna’s speech.